Select “Discounts” in the action bar, then select “New Discount”. Provide a “Name” for the discount code and a “Code” that you will provide to customers. The amount of the discount code can be specified in percentage or in a dollar amount. 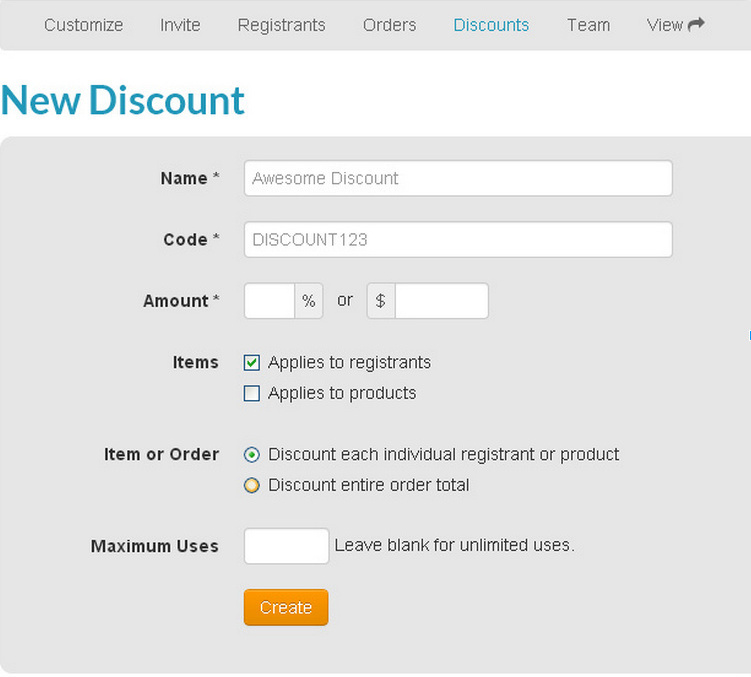 Under “Items” the discount code can be applied to the registrants OR products OR both. “Maximum Use” sets the number of times that a discount code can be used. For your protection, discount codes can be used at a rate of 10 per hour. Contact us if you need to change this. How can I have a discount code applied to a particular person? Set a discount code option of “Maximum Uses” to One. Send the discount out for the person that it’s intended for and you don’t have to worry about it being used multiple times. How can I set a discount code to apply for a group discount? Set a “Pricing” option’s “Quantity Per Order” to have a “Minimum” quantity option. The image below shows an example where the minimum quantity is set to 2. 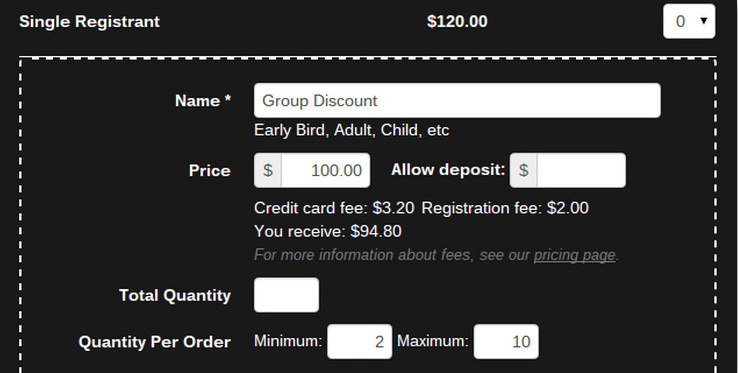 This will allow any group of 2 to 10 people to use the group pricing option.